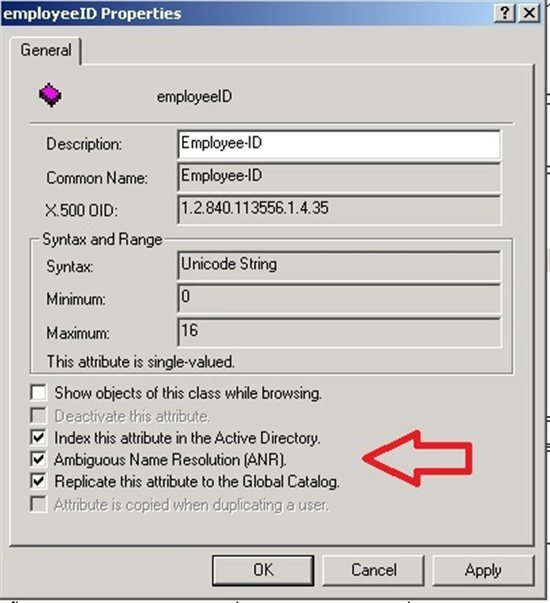 Ambiguous Name Resolution (ANR) is an efficient search algorithm in Active Directory that allows you to specify complex filters involving multiple naming-related attributes in a single clause. It can be used to locate objects in Active Directory when you know something about the name of the object, but not necessarily which naming attribute has the information. 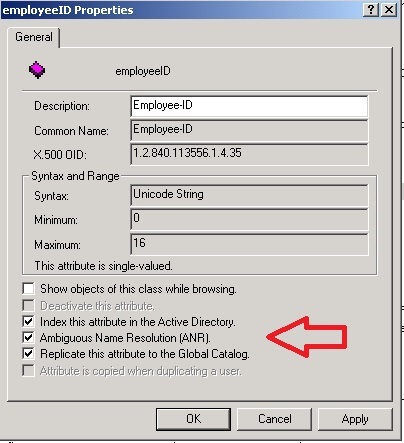 While ANR is usually used to locate user objects, it can be used to find any class of object in Active Directory. The important factor is the schema version of the forest, not the domain or forest functional level or the operating system of the domain controller that handles the query. AD LDS in the table above refers to Active Directory Lightweight Directory Services (formerly called Active Directory Application Mode, or ADAM). Note that the "Name" attribute above is the "Relative Distinguished Name" (RDN) of the object. For user objects, this is the Common Name (the value of the "cn" attribute). The last three attributes in the table, "mail", "mailNickName", and "msExchResourceSearchProperties" are only included if you have the correct version of Exchange. This assumes your domain is MyDomain.com, so you must adjust for your domain. where "|" is the "OR" operator and "*" is the wildcard character. In other words, it finds all objects where any of the designated naming attributes starts with the string "smith". However, note that there is no wildcard character in the clause involving the legacyExchangeDN attribute. Wildcards are not allowed for this attribute (because it is DN syntax) and the clause filters on an exact match. will query for objects where any of the naming attributes matches "Jim Smith Williams*", plus objects where (givenName=jim*) and (sn=smith williams*), plus objects where (givenName=smith williams*) and (sn=jim*). The behavior described above with regard to the givenName and sn attributes is the default. However, you can assign values to the dSHeuristics attribute for the forest to alter this. Specifically, you can require that the string before the first space in the ANR value is always compared to givenName, while the rest of the string is compared to sn or the reverse. See the references to the dSHeuristics attribute below in the "Other Resources" section for more information. 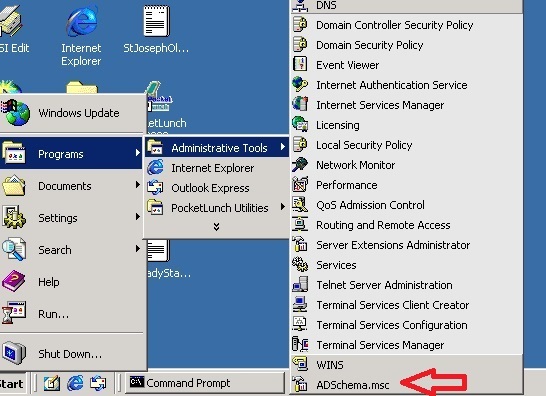 The dSHeuristics is an attribute of the object "cn=Directory Service,cn=Windows NT,cn=Services,cn=Configuration,<Domain>" (where <Domain> is the distinguished name of the domain). All of the attributes in the table above apply to user, contact, and computer objects, with the following exceptions. The msDS-AdditionalSamAccountName attribute only applies to computer objects. The sAMAccountName attribute does not apply to contact objects. Ambiguous Name Resolution can be used to retrieve information on any class of object in Active Directory. ANR can be used anywhere that LDAP syntax filters are supported. Following are script examples to retrieve information about a user named "Jim Smith" using Ambiguous Name Resolution. VBScript can be used on any 32-bit or 64-bit Windows client joined to a domain.
' Filter on user with name "Jim Smith". Wscript.Echo strDN & " (" & strName & ")"
When using an Exchange client such as Outlook the user can enter partial data in the From, To, CC, or Bcc fields. ANR is used to find the best matches in Active Directory. If for some reason you want to require an exact match with any of the attributes in the ANR set, you can prefix the string with the equal sign. For example, you could enter "=aliasname". You might want to add attributes to the Ambiguous Name Resolution set in your environment to allow people to use the feature with other attributes. For example, you might want users to be able to search on Employee ID numbers, in which case you would add either the employeeID or employeeNumber attribute to the set. Only string attributes can be added to the ANR set. Both employeeID and employeeNumber are string syntax. Logon to the domain controller that has the Schema Master FSMO role for the forest with an account that is a member of the Schema Admins group. 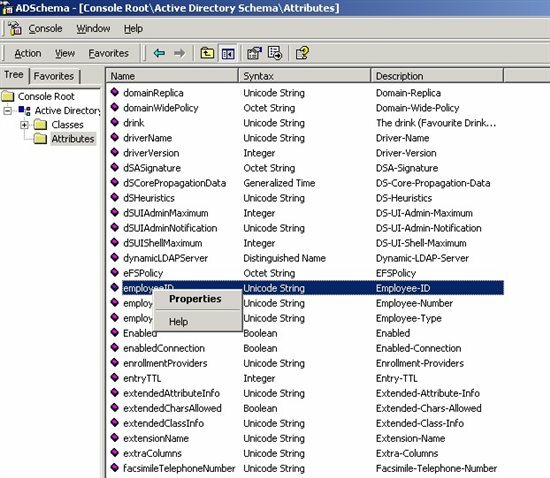 Open the Active Directory Schema MMC (called ADSchema.msc). Expand the Active Directory Schema and select the "Attributes" branch. Find the attribute you want to add to the ANR set, right-click the attribute name, and select "Properties". In this example I selected employeeID. Click "Apply", then "OK", and close the MMC. You will need to wait for these changes to replicate before you can use the new attribute with ANR. If you have only one domain you might want to not check the box to make the attribute replicate to the Global Catalog, as this initiates forest-wide replication of the GC that should be done during off-peak hours. Sets the fANR bit (bit mask 4) of the searchFlags property of the attribute object in the Schema container. Sets the fATTINDEX bit (bit mask 1) of searchFlags. The fANR bit will not take affect unless the fATTINDEX bit is also set. If you specify that the attribute is replicated to the Global Catalog, it assigns "TRUE" to the isMemberOfPartialAttributeSet property of the attribute in the schema.